91% FUNDED! 30 HOURS LEFT! 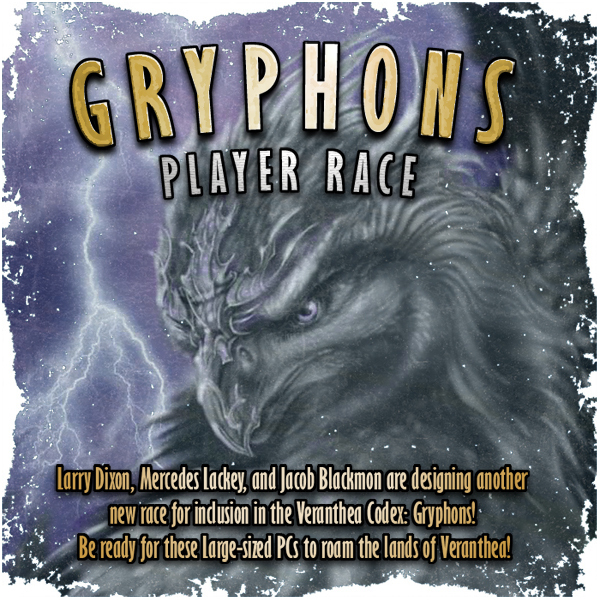 GRYPHON PCs! Monstrous Parties! The Veranthea Codex Kickstarter is 91% funded with 30 hours left before the funding period ends! Finally the tumblr update today: Monstrous PCs! How to run a party with a troll, otyugh, or any weird monster a player wants to play! Previous 85% funded, 50 hours left, and finished artwork! Next THE VERANTHEA CODEX HAS FUNDED!! !